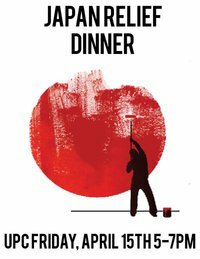 Here is a message from Vassar Japan Relief about its upcoming benefit dinner. 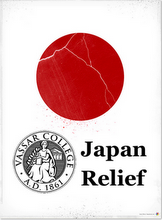 "Vassar Japan Relief, a recently formed student group, is hosting a benefit dinner this Friday from 5-7pm in UpC to raise money for the relief effort currently underway following the 9.0-magnitude earthquake that recently struck the northeastern coast of Japan. The buffet dinner will include sushi, habachi noodles, vegetable curry, chicken teriyaki, miso soup, onigiri, shaved ice and more! Student performances by Matthew’s Minstrels, Barefoot Monkeys, Nina Vyedin and the Undergraduates, and Cheng Peng. Tickets ($5 in advance, $7 at the door) will be available at our table in ACDC the week of April 11-15." Food provided by Akari, Osho, Twisted Soul, Pizzeria Bacio, ASA and Professor Hiromi Tsuchiya Dollase. Sponsored by International Studies, Asian Studies, ASA, Amnesty International, Operation Donation, Main, Cushing, Davison and Lathrop. 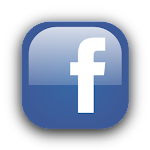 All proceeds will be donated the American Red Cross and Ashinaga. 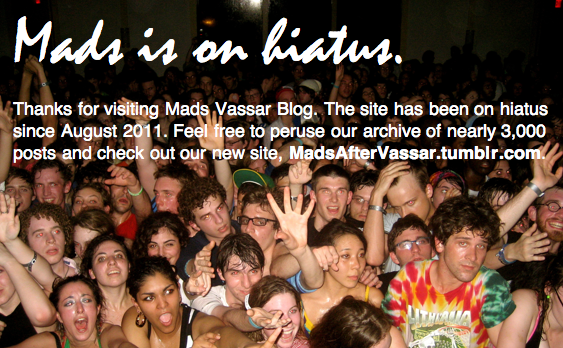 Contact us at vassarjapanrelief[atgmail.com or visit vassarjapanrelief.blogspot.com."